Of the many things that he is famous for, it is that falling off his trusted horse that removed the mystic off one of the most ‘hated’ Afrikaner nationalists [separatist] of our time. That giant fall that exposed green underpants tops the list of the faux paus. The nationalist is also known for inflaming emotions following the assassination of South African Communist Party leader Chris Hani by Polish immigrant Janus Walusz and Clive Derby-Lewis by insinuating to a Boer audience that if the marksman botched the job he would have perfected the shot. He is also known for the religious crusade he led with such venom [hatred] that it defied the Christian doctrine’s main tenet – love. 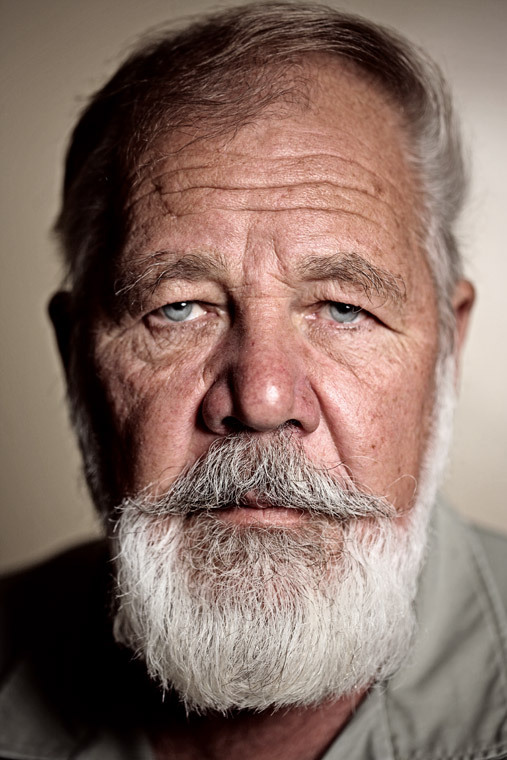 There is today a man who carries permanent infirmity inflicted on him by none other than one white bearded Eugene Terreblanche. And now Uncle Eugene is dead. In as much the same clarion call that went out when Black Consciousness advocate Steve Bantu Biko and Hani were culled [not killed], even today the Afrikaners must exercise restraint since I am certain the separatist are feeling what darkies felt that April day when Hani was martyred and that Skielik Nazi boy culled so many squatter dwellers. They must hold their fire and wait for the next command – from who exactly; nobody knows – maybe General De La Rey would resurrect from the ashes of the vanquished laager and issue new instructions. Isn’t it ironic that the white Messiah gets killed during the Easter holiday, completing the martyrdom and granting him some ‘saint’ status? Eugene painfully carried the heavy cross of Afrikaner liberation that only he and a few Wit Wolves, Afrikaner Weerstandbeweging and Aquilas understood its purpose. He carried such a heavy wooden cross that equal Afrikaners like Jan Smuts, Hendriek Verwoed, Barend Strijdom and Constant Viljoen saw its fragility. Verwoed had to be slaughtered like swine for his revolution to come to halt. Reformist Afrikaner revolutionary PW Botha had to die a lonely death to finally see the light. His death comes in a week that President Jacob Zuma met poor Afrikaners to assure them of a place in the Rainbow [though it lacks the Black colour]. But Eugene, after years of a self-inflicted hiatus decided to rise a few months ago at the Pretoria City Hall, behind the statue of Kgoshi Tshwane to declare war everlasting on the new dispensation. It was like firing pellets at an elephant – truly nobody took his seriously. A few days before Winter the general gets slaughtered, not like the holy sheep but cheap swine dying for its bacon. ‘Death be not proud’ uttered John Donne. Death need not be proud for robbing us of revolutionaries, no matter how out of touch their ideologies may be. Eugene stood for something, he exercised his democratic right fully and lived amongst black people, though in an unequal environment. Few people would have accorded Eugene the courtesy to die in his sleep. But some would have granted him the right to die fighting – not to save his life from killers but for a vaderland. He never really wanted to settle for less as he never even wanted to take residence in Orania. Afrikaner nationalism is not poorer without Eugene – if anything it is opportunities like this that they need to take to chart a new path and portray themselves as a caring nation that is willing to live in harmony with others. It’s time they put all the blame on Eugene and bury him with it. Arguably his murder had nothing to do with the ‘Shoot the Boer’ song as loved by those who want to are now in privilege they come out to defend it in flowery columns to keep the poor focused on a low-cost house. May Eugene rest in peace. And may, once again the Afrikaners learn a lesson from how karma plays itself out.